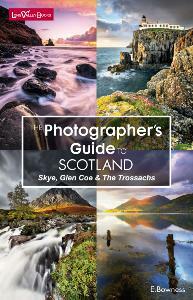 A welcome addition to the popular Photographer's Guide series by E. Bowness is this book covering Scotland. 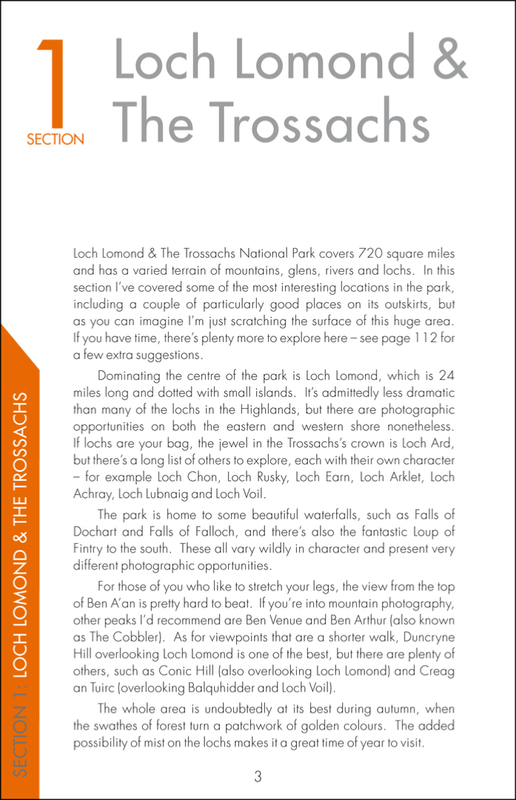 Explore the Lochs, Skye, Glen Coe and the Trossachs with this fantastic book as your guide and be inspired by the stunning images of each location. 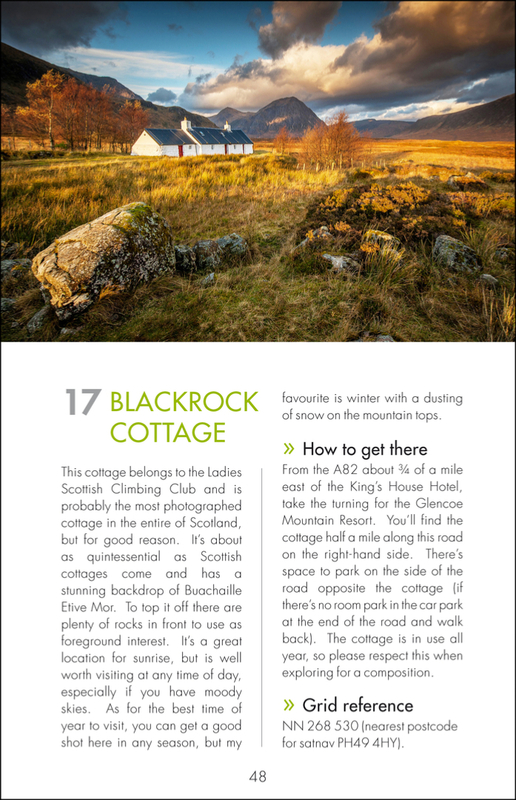 Part of the popular Photographer's Guide series by E. Bowness is this book covering Scotland. 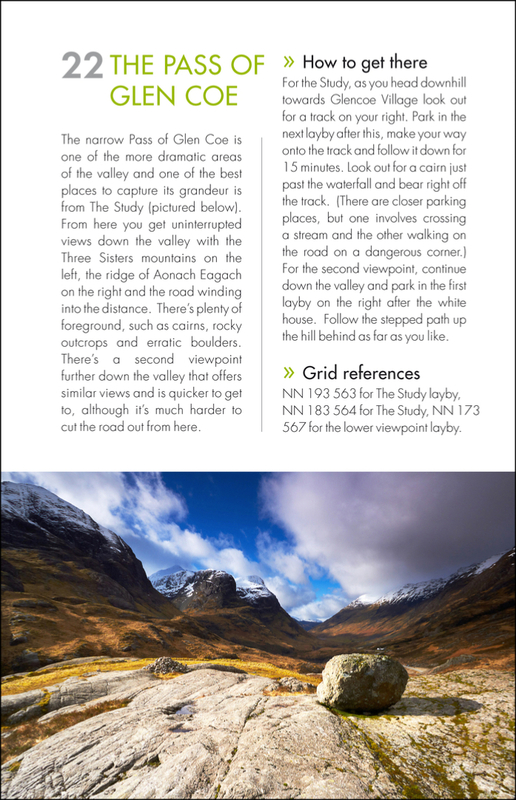 Explore the Lochs, Skye, Glen Coe and the Trossachs with this fantastic book as your guide and be inspired by the stunning images of each location. What struck us most about The Photographer’s Guide series is the pinpoint accuracy of the photogenic locations that have been selected and nearby parking options – a godsend if you’re on a quick tour. This guide, specifically for Scotland, is your indispensible guide to taking stunning photos of this popular destination. Measuring only 12.7 x 19.7cm, they’re pocketable and lightweight, yet each is packed with over 50 great photography locations. Each location shows you your best photographic opportunities when there and gives a good overview of the site, including how busy it’s likely to be and alternatives if it’s a popular spot. It also gives best times of day to shoot the scenes if you’re looking for specific lighting. A highlight of these books is the handy chart in the rear, which gives you at-a-glance information about the type of location, the difficulty of the walk, the time from the car park to the location and a star rating. There are also numerous maps in the book, making it easy to sort out where the parking is and also which way to go once parked. 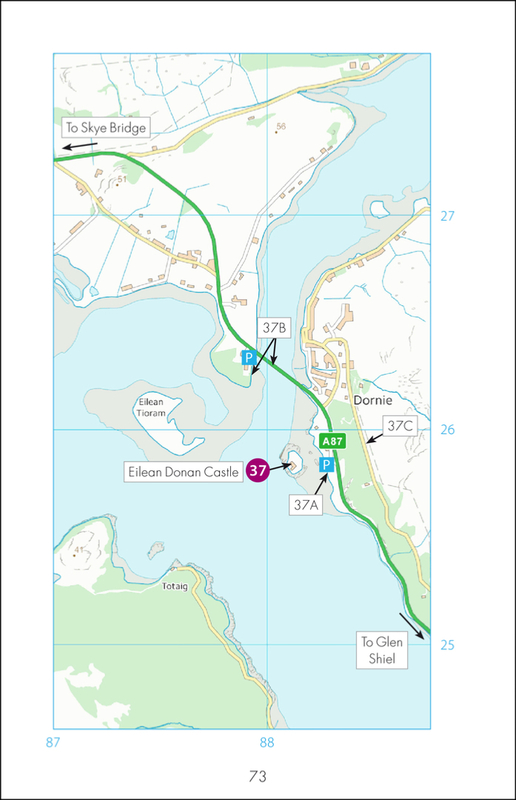 In addition to indispensable information about where each shot was taken, plus maps and suitable car parking, you'll also find details on sunrise and sunset times, midges and footwear and the Scottish Outdoor Access Code, essential if you're not from the local area. Beautifully printed, perfectly sized and the ultimate in photographic tour guides, this edition is a must for your next Scottish trip. A very helpful and practical guide.